Xbox 360 in 2012: What About the Games? Microsoft sure reaped the rewards of the Xbox 360 and Kinect's success over the past year, and they're showing it off in a big way at CES 2012. However, very little of the Xbox buzz coming from Microsoft has to do with games. 2012 might very well be the Year of the Xbox 360, but not for many of the gamers that brought it so far. Streaming media isn't anything new for the Xbox, of course--it was one of the first ways to stream Netflix Instant onto a TV without using a PC. 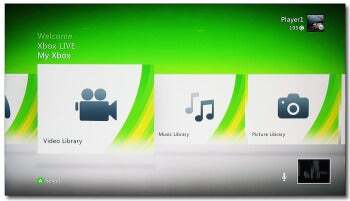 However, Microsoft is doubling down on streaming media this year, aiming to have 100 streaming apps by the end of 2012. That's not 100 dinky Android apps, either--each app requires Microsoft to partner with the content provider to make sure that Xbox users are getting the best experience possible. It hasn't gotten off to a great start. The highly hyped Microsoft/Ultimate Fighting Championship partnership, for example, started with a whimper when Microsoft promised free UFC streams via the new UFC Xbox Live app for the December 30th Overeem vs. Lesnar fight card, and failed to deliver minutes after the fights had already started. But Microsoft is learning from this experience, and I have no doubt that whatever streaming services they do add over the next year will be every bit as solid as its Netflix streaming currently is. But what gives the Xbox 360 the edge over, say, the Roku, or a solid Google TV device? To start, you're more likely to already own the Xbox 360 than another set-top box or Internet-connected Blu-ray player, and the comparatively massive installed base of Xbox 360s undoubtedly makes Microsoft a prime partner for the various streaming media providers out there. More importantly, however, the combination of Bing and Kinect give the Xbox 360 the exact Smart TV experience that Samsung and LG are shooting for in their new 2012 TVs. By now, everyone knows that the classic TV remote simply doesn't cut it in an Internet TV world. Why pay $2000 for a high-end Samsung Smart TV when you can get a good media selection and voice/gesture controls with a game console and an additional peripheral you probably already have? Considering Microsoft designed the Kinect technology that everyone at CES is trying to imitate, it's hard to bet against them in this one. So what does this mean for gamers? Microsoft reported a 140% year-over-year increase in streaming media consumption on the Xbox 360 between 2010 and 2011, so there's no doubt that the existing owners are enjoying it. But it certainly doesn't seem like Microsoft is making any efforts to drive the development of Kinect-only titles that speak to their core gaming user base. 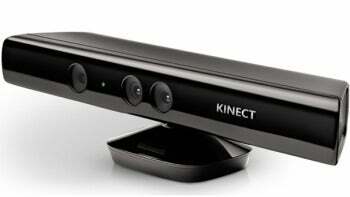 When Steve Ballmer announced that Microsoft will sell Kinect for Windows for $250, it caused quite a stir--why charge an extra $100 for what is essentially the same product? As it turns out, there's a pretty good reason for that--the Kinect for Windows isn't really meant for consumers in the first place. After all, there's not really a whole lot you could use it with in Windows, anyway. Instead, it's for the companies out there who want to use the Kinect to develop their own applications--for business, medicine, education, and so on--without having to wade through the community-made, open source SDK which doesn't fully support all of the Kinect's functions. The $250 price tag essentially covers the cost of the unit itself, plus more detailed tech support meant for enterprise purposes, and the official Microsoft SDK. This is great for making the world more like Minority Report, but it's not so great for making a Kinect game that doesn't involve Sesame Street or dancing. There's no doubt that the existing generation of game consoles are starting to lag behind the PC. Blockbuster titles like Skyrim or Battlefield 3 simply don't look as good or play as well on an Xbox 360 as they can on even a lower-end gaming PC--and when you consider the high-end niche gamer who wants to mod their games, crank up the settings, or even live-stream their sessions via Twitch.TV or other video streaming sites, there's simply no contest. However, that doesn't stop Skyrim or any other triple-A title from selling like crazy--which means that Microsoft has no incentive to come out with a next-generation console any time soon. And while PC gaming seems to be making a comeback, there's no question that many gamers out there are happy with what their Xbox does. That's not hard to understand. Research and development on a new console is expensive, and when you're able to extend the viable lifespan of your console by turning it into a media-streaming set-top box with a cool user interface without charging your users extra for the privilege, it seems like a win-win scenario. The dedicated gamers out there, on the other hand, may notice that their Xbox just gathers dust while they stick to their PC for the latest and greatest--except for when they want to watch Hulu on their HDTV. Patrick Miller covers games, how-tos, and the occasional HDTV for PCWorld. Follow him on Facebook or Twitter.